THE number of foreign tourists holidaying in Spain in July stood at almost 10 million, a fall of 4.9 per cent on the same time the previous year. 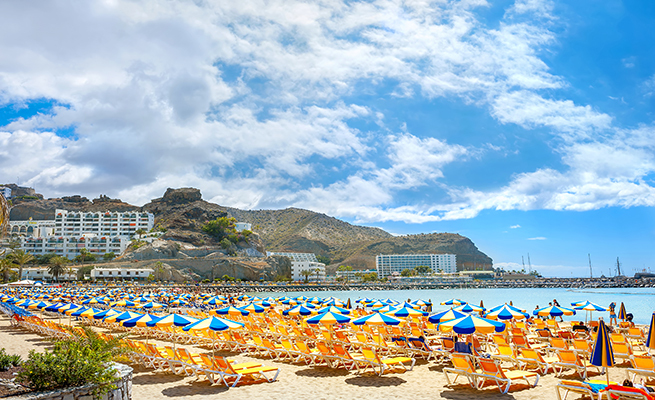 The data, the latest on the industry from the country’s National Institute of Statistics (INE), showed the number of British holidaymakers fell by 5.6 per cent. Tourists from Britain typically make up a fifth of all visitors to Spain. Figures for French and German tourists, the leading nationalities in terms of visitors to Spain along with the British, fell by 11.4 per cent and 6.2 per cent respectively. The drop was the biggest monthly fall since April 2010 when a volcano eruption in Iceland grounded flights across Europe and contributed to a 13 per cent decrease. The biggest fall for July took place in 2009 following the onset of the financial crisis which plunged much of Europe and the United States in recession. Several months in that year, including July, registered falls of 10 to 15 per cent compared to 2008. The news comes as Spain’s Tourist Board predicted visitor numbers could stagnate or fall between July and September. There may be an overall fall following record years in 2016 and 2017, Turespaña added. Industry experts said they believed the decline was down to the recovery of rival destinations such as Egypt, Turkey and Tunisia which are often cheaper than Spain. All had previously been beset by political upheaval and some witnessed terror attacks which drove holidaymakers away. The fall in the value of the pound relative to the euro could also have been a factor in the case of British tourists. Above average temperatures in Northern Europe may also have resulted in many tourists staying in their home countries, analysts said. I think it’s mainly due to the great weather we had here in UK. I’d be interested to see what the figures look like for the remainder of the year. PS; I’m going down to Arroyo in September/October as always. I don’t go just for the sun I just love the way of life there. If I could afford it, I’d live there!! I go to Benidorm 4 times a year but the prices are getting ridiculous.they are pricing themselves out of tourist the way they are going that’s why people are going elsewhere. I will be looking for other destinations at the prices I’ve seen for Benidorm next year.